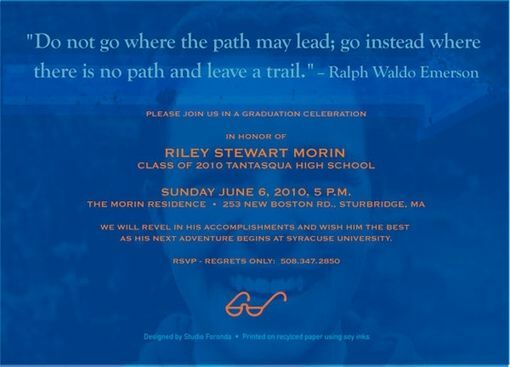 This is a postcard invitation to the graduation party of Riley Morin. 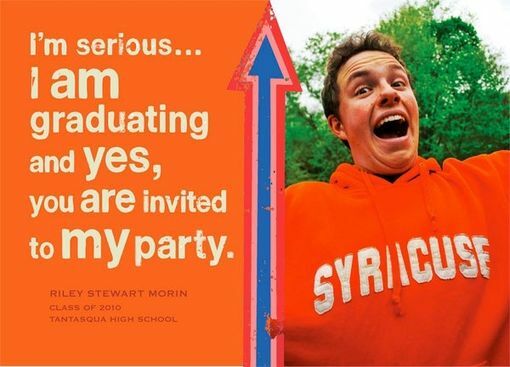 He was accepted to Syracuse University and his parents wanted a custom invite for guests to RSVP to the event. We wrote the creative copy and typeset the text as well as shoot the photography. We worked with the client to get nail the concept down. The party was a blast. We can create custom postcards and greeting cards for events like birthdays, anniversaries, weddings, store openings, birth announcements, and any other event that one may need to publicize.